At Mountain Valley Academy, we believe that all students can benefit from exposure to truly natural environments. In addition to the value we place on the outdoor experience itself, immersion in wilderness-like settings has tangible therapeutic benefits as well. We are committed to engaging our students in the natural world through adventurous educational and recreational activities. All of our outdoor programs offer significant physical and intellectual challenges, which stimulate growth and increase competencies. Participation helps cultivate appropriate relationships of mutual trust and respect leading to an increased sense of belonging to a larger community. 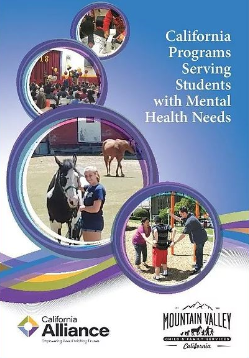 The natural world provides a unique environment for reinforcing responsible behavior and fostering self-confidence while our outdoor programs provide the structure needed to ensure the safety and well-being of all our students. 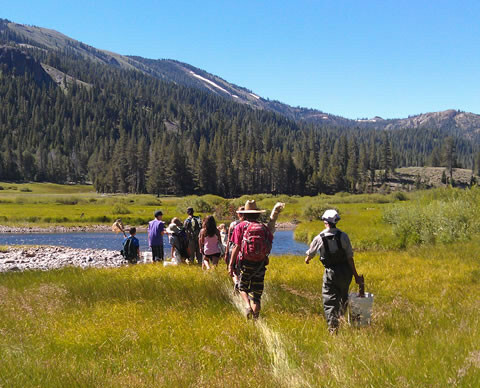 The Mountain Valley Academy backpacking program offers high-level students the opportunity to demonstrate their maturity through peer leadership and teamwork in challenging circumstances while at the same time introducing them to the joy of backpacking in some of California’s spectacular backcountry. Prior to hitting the trail for a multi-day trip in the wilderness, our students are taught basic backcountry skills during our on-site backpacking clinic. The clinic is a seven hour hands-on class designed to teach students the skills they will need to safely navigate and camp in the backcountry. Some of the topics covered are: gear selection, trail etiquette, map and compass, water purification, kitchen set up, and backcountry hygiene. All lessons are taught on the trail requiring students to complete a four mile full-pack hike as part of the process.